Holiday Pomegranate Jar Soy Candle has a wonderful blend of Pomegranate, Citrus, Dewberry, Blackberry, Iris, Jasmine, Sheer Musk, Sandalwood, and Red Cassis. Spreads a fruity and floral holiday scent thru the whole house! 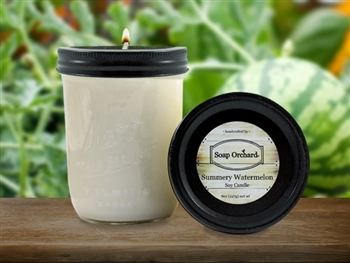 Walnut Pear Chardonnay Soy Candle smells gloriously of the beginning of fall! The mix of Walnuts, Pears and the oaky sweet finish of the Chardonnay wine scent. Unbeatable!